Make a statement! Stickers aren't just for scrapbooking anymore; personalize letters, notes, photos and envelopes with these quotes and captions. Poppystamps craft die featuring the word "Thanks". 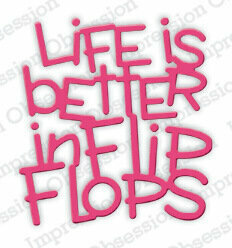 Brighten someone's day with this charming die-cut message. A simple act of kindness can have a lasting impact. Working with artist Jennifer McGuire, we developed this line of stamps and dies to encourage everyday acts of kindness that combine the joy of making with the joy of giving, offering a bit of kindness to brighten your day. Hero Arts Fancy Dies are intricate designs and stand-alone cutters that produce beautifully detailed cut-outs on paper. Reminiscent of a Hero Arts stamp design, Fancy Dies compliment stamps instead of matching them to broaden your stamping and technique options. They are made with intricate cutting surfaces from sturdy metal, are universally compatible with cutting machines, and work well with the complete Hero Arts line of stamps and papers. Memory Box craft die featuring the sentiment "hello". Craft die featuring the sentiment "Dream Big". Xcut boasts a comprehensive range of designer dies, all made from the highest grade carbonized steel and are tested to deliver a superior cut. Craft die featuring the word "Menu". Steel cutting die from Elizabeth Craft Designs. Compatible with most leading die-cutting machines. Memory Box craft die featuring the word "Sending". 100% steel craft die from Memory Box. For use on cardstock, felt, and fabric. Cut, stencil, emboss, create. Use in most leading die cut systems. Memory Box craft die featuring the word "Together". 100% steel craft die from Memory Box. For use on cardstock, felt, and fabric. Cut, stencil, emboss, create. Use in most leading die cut systems. Xcut boasts a comprehensive range of designer dies, all of which are made from the highest grade carbonised steel and are tested to deliver a superior cut. 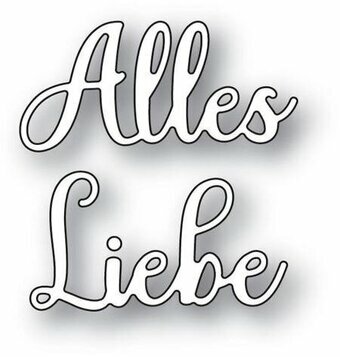 Craft die from Memory Box featuring the German phrase "Alles Liebe" meaning "All the Best". Penny Black Craft Die featuring the words "Bloom" and "Magical". Memory Box craft die featuring the word "Celebrate". 100% steel craft die from Memory Box. For use on cardstock, felt, and fabric. Cut, stencil, emboss, create. Use in most leading die cut systems. 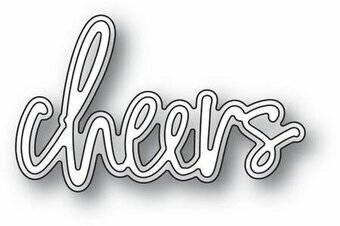 Memory Box craft die featuring the word "Cheers". 100% steel craft die from Memory Box. For use on cardstock, felt, and fabric. Cut, stencil, emboss, create. Use in most leading die cut systems. Scrapbooking stickers featuring the sentiments "I'm trying to look like I'm having fun. ", "Where's the Party? ", ""#@*?! ", "Say Cheese! ", "Wish you were here. ", "I HATE THIS! ", "Hmmmmmmmm", "Snap that picture and you're dead meat. ", "What's Up? ", and more! 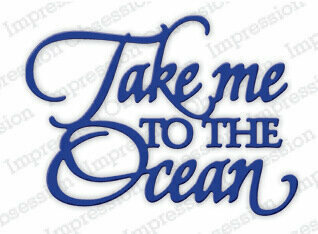 Have fun with these Bubble Captions classic stickers from Sticko! Great word bubbles for kid's projects, cardmaking, scrapbooking, and more! Sticker sheet is 3.75" x 6.75". Craft die featuring the word "Cuddles". Steel cutting die from Elizabeth Craft Designs. Compatible with most leading die-cutting machines. 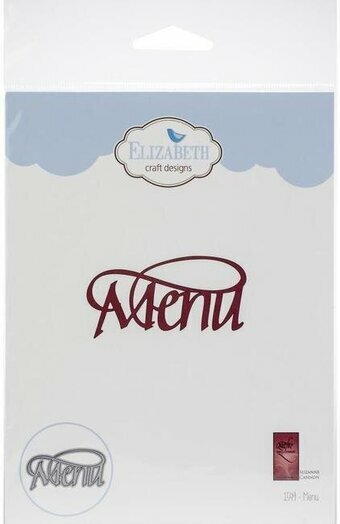 Card makers can enjoy their craft with an embossing folder that simplifies the process! 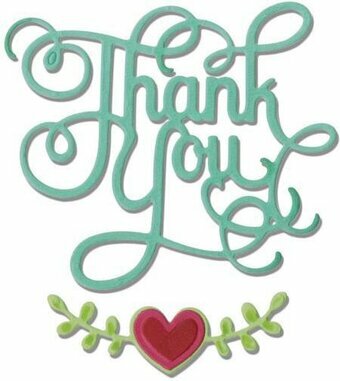 Our "Thank You" embossing folder is a papercrafting favorite that will never go out of style thanks to its timeless message. Thank You embossing folder. Script font. Horizontal orientation. Works best with heavyweight cardstock. Fits most embossing machines. Embossing folder measures 5.75 x 4.25 inches. 1 word embossing folder per package. Penny Black Creative Die featuring the sentiments "Thank you so very much" and "Fantastic". Craft dies featuring the words "Merry" and "Happy". Lawn Cuts custom craft dies are high-quality steel, made in the USA, and are compatible with most die cutting machines! Made with care in the USA! Memory Box craft die featuring the sentiment "happy". Craft die featuring the sentiment "I Love You". Xcut boasts a comprehensive range of designer dies, all made from the highest grade carbonized steel and are tested to deliver a superior cut. Valentine themed Penny Black die featuring the sentiments "love" and "miss you". Craft die from Memory Box featuring the word "Awesome". Christmas themed Memory Box craft die featuring the word "Love" in a Circle. 2.1 x 2.1 inches. Craft die from Memory Box featuring the word "Wonderful". 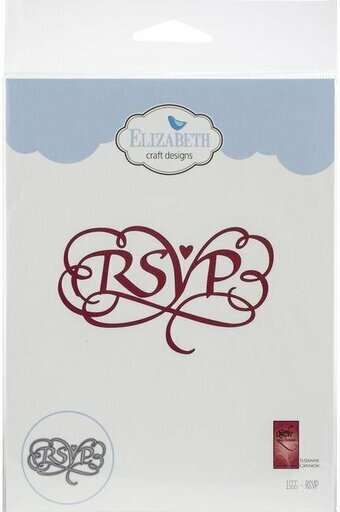 Craft die featuring the phrase "RSVP". Steel cutting die from Elizabeth Craft Designs. Compatible with most leading die-cutting machines. Poppystamps craft die featuring the sentiment "Happy Anniversary". Craft die featuring the newborn baby sentiment "Special Delivery Day". Steel cutting die from Elizabeth Craft Designs. Compatible with most leading die-cutting machines. Expression Collection - Best of Luck. Size: 3 11/16" x 2 11/16". 1 piece die. The Craft Dies are an elegant collection of high quality steel designs designed to co-ordinate with each other. Creative Expressions Craft Dies can be used in most leading die cutting machines including The Press Boss, Grand Calibur by Spellbinders, Cuttlebug by Provocraft, Big Shot by Sizzix and eBosser by Craftwell. 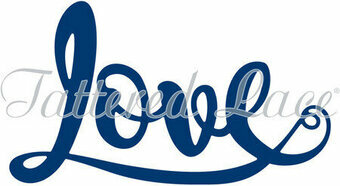 Tattered Lace Dies: Delicate Detail - With Love. Tattered Lace Die - Contemplation - Faith. A beautiful script font for the word Faith. Perfect for christening/baptism, sympathy, wedding, Easter, etc. Detailed and Delicate, Tattered Lace Dies are the most intricate dies available. This Essentials by Tattered Lace die is a must have for all your projects, giving you the perfect size shape any time. This die measures approx 3.03" x 1.42". Tattered Lace Die - Teach Your Daughters Tattered Lace Dies are the most detailed and delicate dies on the market. They are beautifully co-ordinated with a distinctive look and can be standalone or used to complement existing dies in your collection. 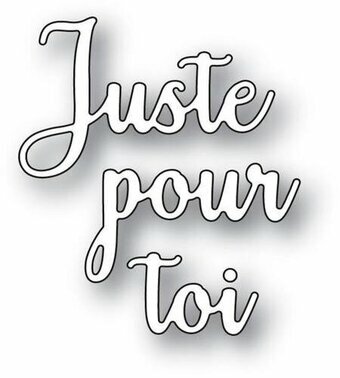 This sentiment would be great for using for scrapbooking whether you are making a diary or album. Create an inspirational gift for someone using this sentiment die that has the perfect inspiration especially for women. Add to your 18 year old daughter's birthday card for the perfect sentiment. Add one of our Tattered Lace Heel dies to give your card a visual element. Perfect for Scrapbooking, birthdays, gifts, albums and so much more. This sentiment has a fun element to it as well as inspirational and is perfect to send to your daughter if she needs a bit of inspiration in her life. Tattered Lace dies have a non-stick coating that allows the card to release without the need for wax paper or tumble dryer sheets. Use with a variety of different card, fabric and materials to create stunning effects for your cards, home decor and scrapbook pages. 1 die This die measures approx 4.02" x 3.73"
Detailed and delicate, Tattered Lace Dies are the most intricate dies available. This topper die gives you the perfect finishing touch to all of your projects. Size: 3.86" x 2.20".